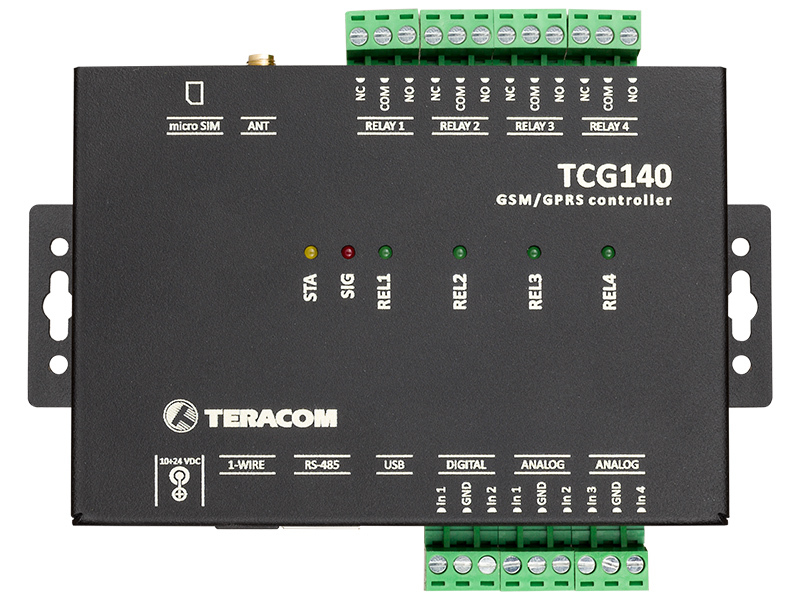 TCG140 is a GSM-GPRS remote IO module for remote site monitoring and control over a mobile network. 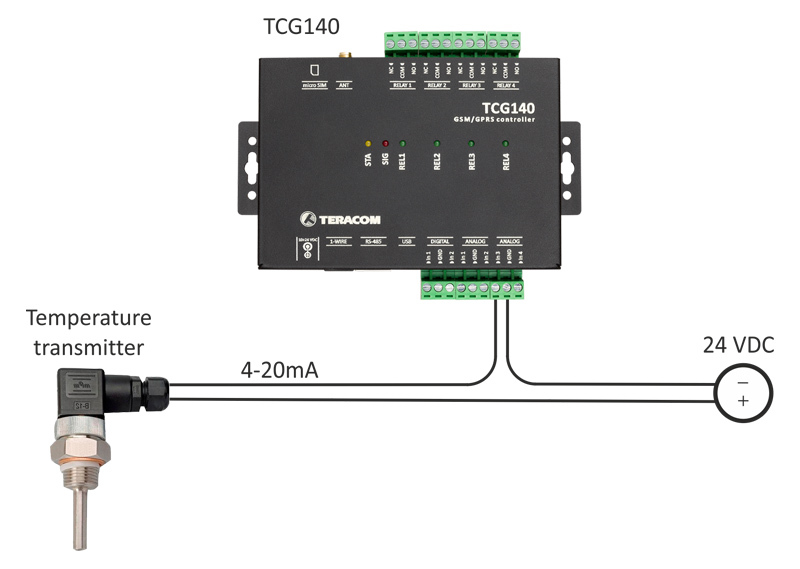 The GSM-GPRS remote IO module has two digital “dry contact” inputs, two analog inputs with 0-10V range and two analog inputs with 0-10V or 0-20mA range. 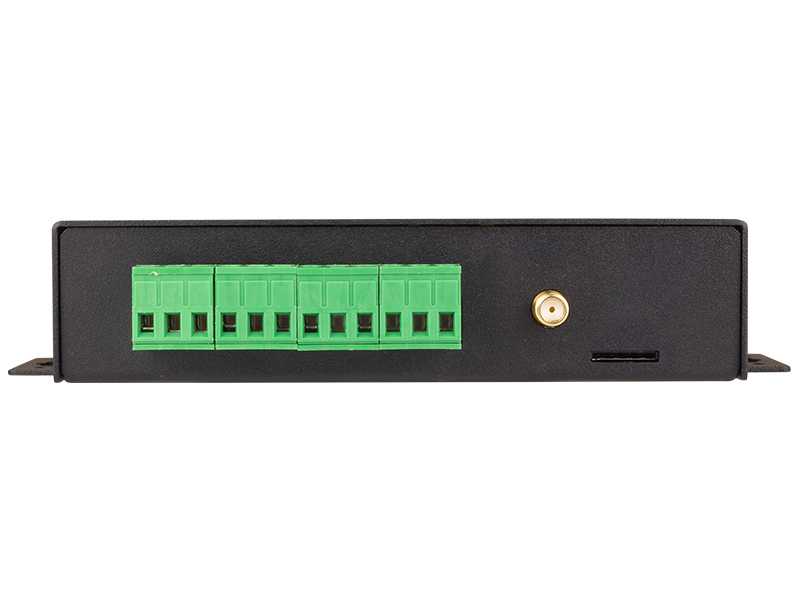 The customer sets the mode of analog inputs via the GUI. 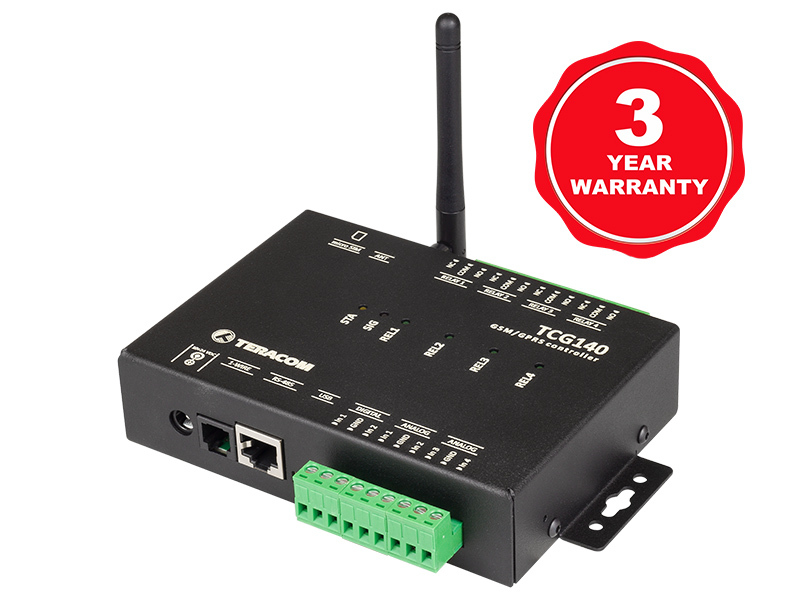 The device supports 1-Wire and RS-485 (MODBUS RTU) interfaces. 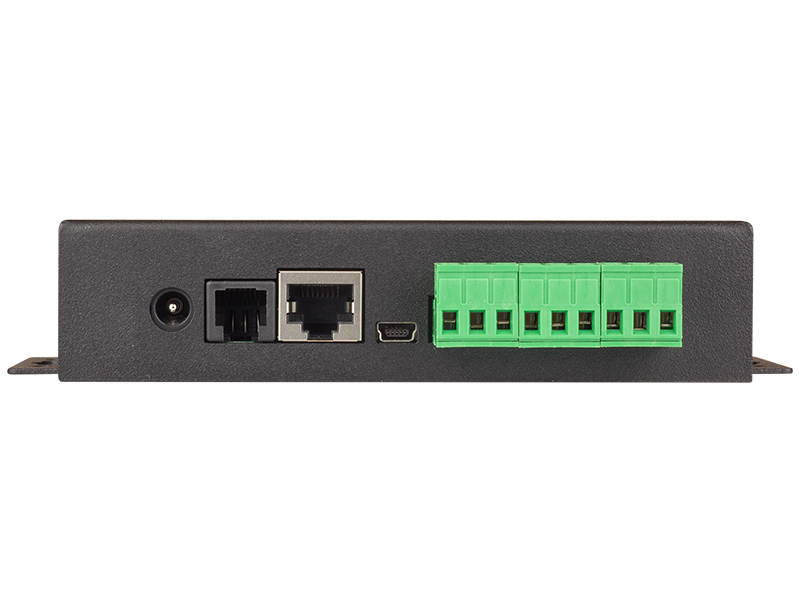 Both interfaces can carry up to 8 sensors, shared between the two interfaces in a random ratio. The device records all monitored parameters in internal FLASH memory. The records are made on the previous set time interval and/or on an alarm condition. The log file can be periodically uploaded to a dedicated server by HTTP Post. Drug and food facilities monitoring.